(AP) JERUSALEM - Israel's military chief warned Tuesday that an attack on Syrian chemical weapons depots could drag Israel into a broader war, counseling restraint after top officials declared they were prepared to strike to keep those weapons out of militants' hands. Israel is afraid militants like Lebanon's Hezbollah could seize Syria's chemical weapons should the violence convulsing Syria drive the central government to collapse. The military chief, Lt. Gen. Benny Gantz, told parliament's foreign affairs and defense committee that the Syrian army has stepped up security around the country's chemical weapons stocks. "To the best of my judgment, at this point they remain in control of this network. They are protecting it and beefing up the security around it and it hasn't yet reached unwelcome hands, though that could change," he said, according to the military's website. 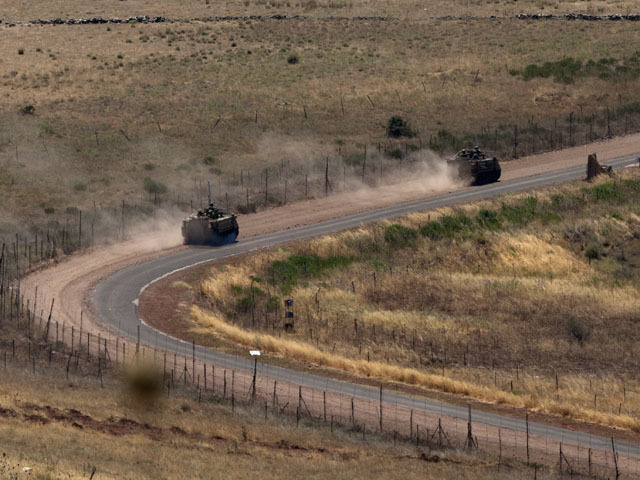 Israel will continue to monitor the situation, but it must proceed carefully to avoid a situation "of a broader offensive than we planned," according to a statement on the website summarizing his remarks. In recent days, Israeli Prime Minister Benjamin Netanyahu and Defense Minister Ehud Barak have warned that Israel would be ready to attack Syrian weapons depots to prevent militants from raiding them. On Monday, Syria threatened to unleash its chemical and biological weapons if the country faces a foreign attack. It did not specify Israel by name, and Israel did not comment on the threat.